I told you not too long ago that I was craving Sloppy Joes. I love the sweet and tangy flavor of this classic sandwich. It is a favorite with my kids as well. 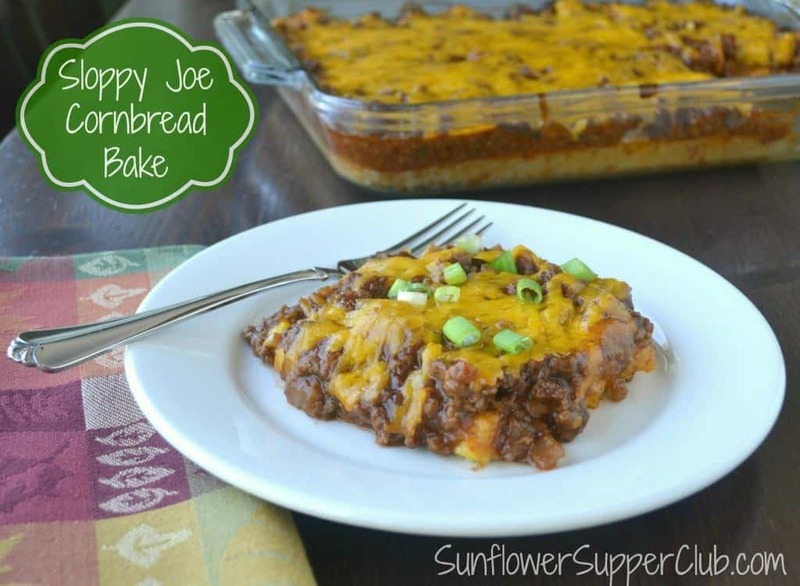 A few weeks ago I saw this casserole on Pinterest from Buns In My Oven that combined the sloppy joe flavor with another favorite of my family, cornbread. What a brilliant combination. I used my homemade sloppy joe sauce and added a twist by using some BBQ sauce in combination with the ketchup. 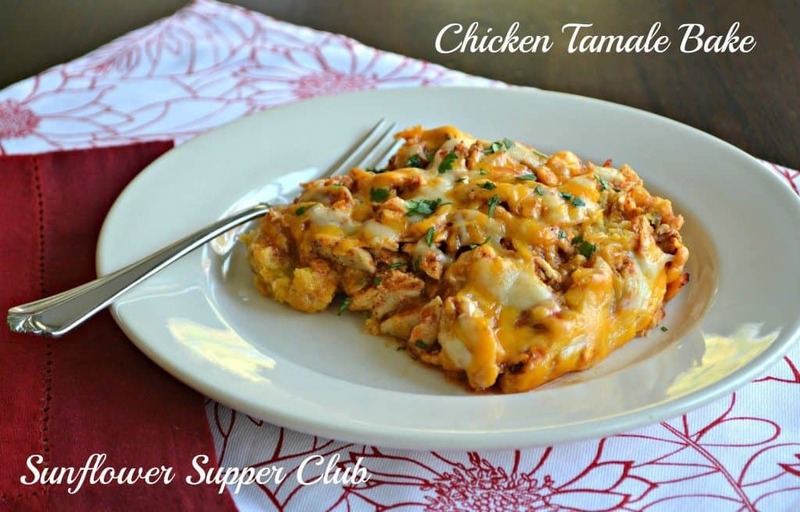 This comes together quick and is perfect for a weekday meal when you’re short on time. Spray a 9 x 13 inch dish with cooking spray. 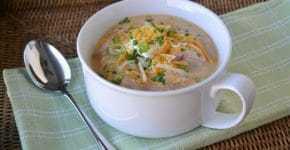 Combine the muffin mix, milk, egg, cream-style corn and ½ cup (2 ounces) of the shredded cheese. Mix well and pour into the prepared dish. 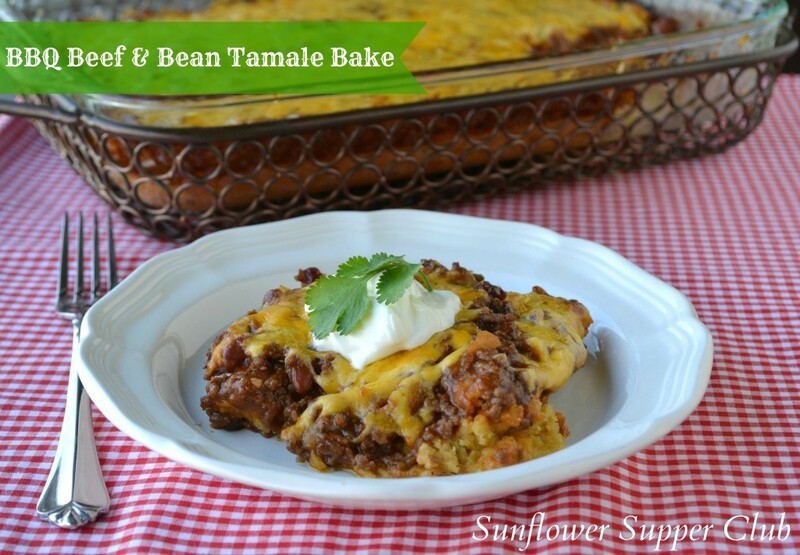 While the cornbread layer is cooking, brown the ground beef in a large skillet until brown. When the beef is about done add the onion, green pepper and garlic. Drain any excess grease. Add the ketchup, BBQ sauce, brown sugar, water, Worcestershire sauce, yellow mustard, kosher salt and pepper. Bring to a simmer and continue cooking on low for about 5 minutes. Remove the cornbread from the oven and poke the top with a fork to make holes in the cornbread. Spoon the beef mixture evenly over the cornbread. Top with the remaining 2 cups (8 ounces) shredded cheese. Cooks Note: If you want a classic Sloppy Joe taste just use 1½ cups of ketchup and omit the BBQ sauce. Recipe adapted from Buns In My Oven.